How to Get Away with Murder Season 2 Episode: 9 - What Did We Do? How to Get Away with Murder Season 2 Episode: 10 - What Happened to You, Annalise? How to Get Away with Murder Season 3 Episode: 6 - Is Someone Really Dead? How to Get Away with Murder Season 3 Episode: 9 - Who’s Dead? 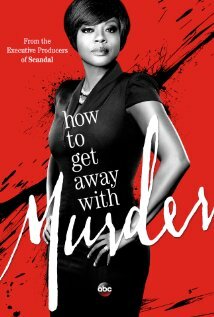 How to Get Away with Murder Season 4 Episode: 4 - Was She Ever Good at Her Job? How to Get Away with Murder Season 4 Episode: 8 - Live. Live. Live.